Every year, Huawei would present some new 4G Router to meet the market demand. Now we have the new 4G router B310 and we will have a review about this new router in the article. With the Huawei B310 Router, you can share your data plan using Wi-Fi or Ethernet. And it has other functions which are very useful for many people, we will introduce the features in this review. Ports Ethernet port, telephone port, two connectors for external 4G antennas of 1dBi each (included) and DC connector. Here we can find the LTE CPE B310 that has a very simple design, so it is pleasant to use with the furniture at home, and it occupies very little space. The equipment material is totally plastic like any other router or similar devices such as Huawei B593 and Huawei B890 Router. 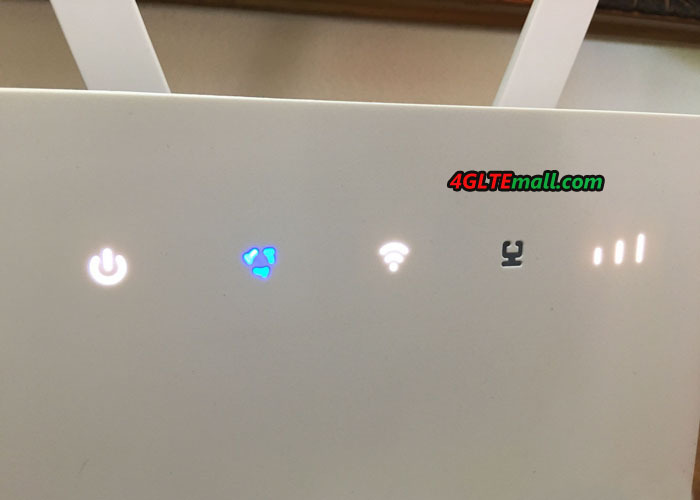 On its front, we find four illuminated icons that indicate the status of the router. The first one (from left to right) indicates that the B310 router is power on, the second shows the status of the connected network (3G, 4G … etc) using colors, the third indicates the status of the Wi-Fi network, the forth indicates the status of the Ethernet connector and finally we have the operator’s signal bars. 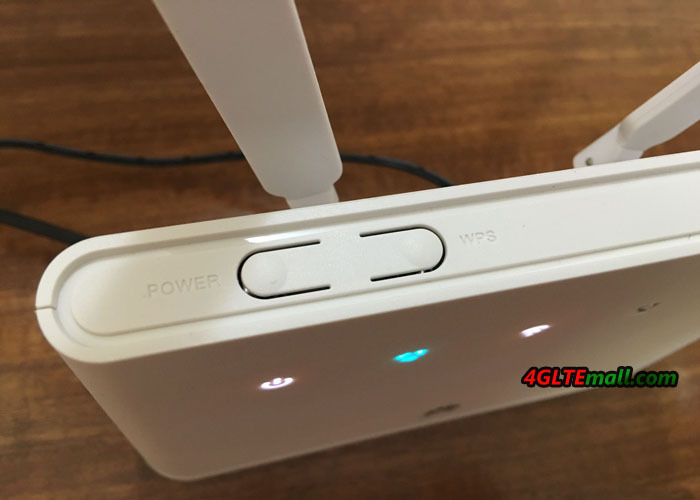 At the top we find the power and WPS buttons, the latter is to allow compatible devices to connect to the Wi-Fi network without entering the password. At the back we will find the two external antennas, below we will see the current connector, the Ethernet port and a telephone line connector. We also see a cover, which when removed will allow us to insert our SIM card (mini SIM format) at the side. 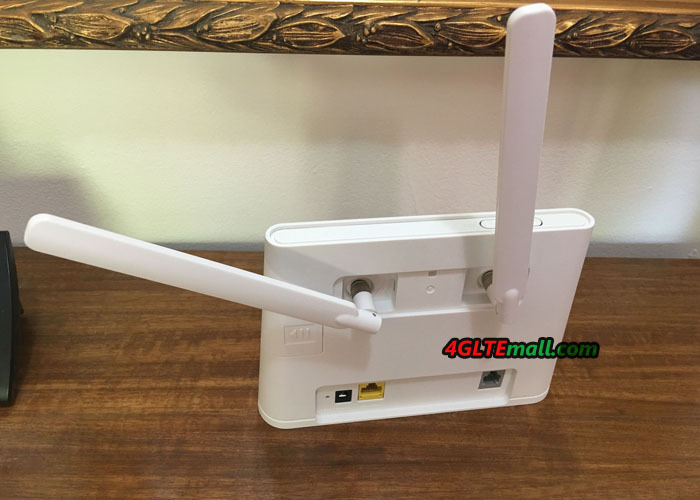 The main function you will find on this router is precisely the ability to share your 4G, 3G or 2G data connection via Ethernet or WiFi with many connected users. The WiFi range could cover around 200 meters. 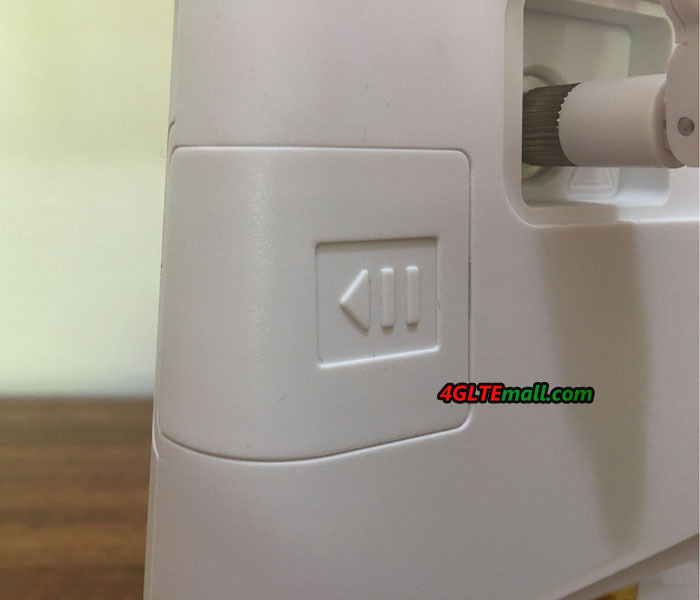 The connection is super easy, just connect the modem of your internet provider via Ethernet cable to the Huawei B310 and configure it according to the type of connection that your provider uses. As an additional feature, the router will also offer you the possibility of cloning a MAC address, if necessary. Per my personal experience, I usually have to use Wi-Fi extenders at my home, but with the Huawei B310 Router, it was unnecessary to have the extender, so the WiFi coverage from B310 CPE is really trustful. Also, the speed I had turned out to be very good and with a low ping when connecting. In terms of configurations, the B310 router is capable of broadcasting up to 4 Wi-Fi networks and each can adjust the frequency channel manually, having channels 1 through 11. As for security, you can decide whether to leave the name of your Wi-Fi network visible or not, in addition to being able to select a WEP, WPA2-PSK or WPA/WPA2-PSK password. If you want even more security, you can filter up to 10 quotas using the MAC address of each device. The Huawei B310 router turned out to be pretty perfect, in fact I thought it was something simpler, but I was very wrong. Here we can configure a firewall, filter by MAC and IP address, even virtual servers to protect our devices. You can also open ports easily, apply DMZ configurations, enable UPnP, adjust NAT, filter by domain names or apply Dynamic DNS. 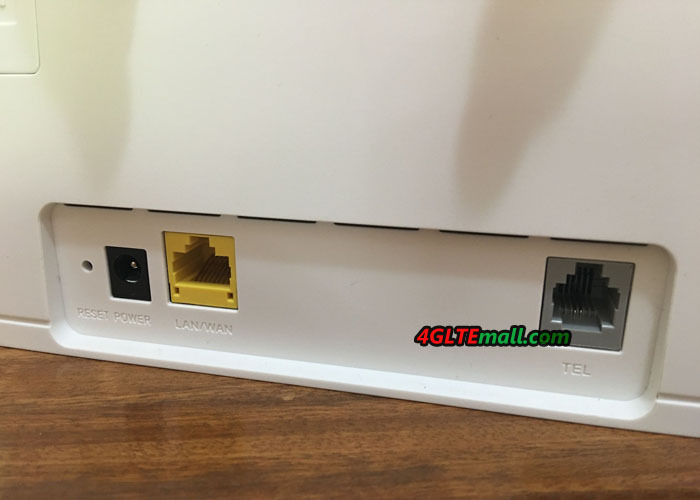 Something that totally differentiates from the other 4G routers is the possibility of being able to connect a fixed telephone and make & receive calls using the mobile network of your operator. 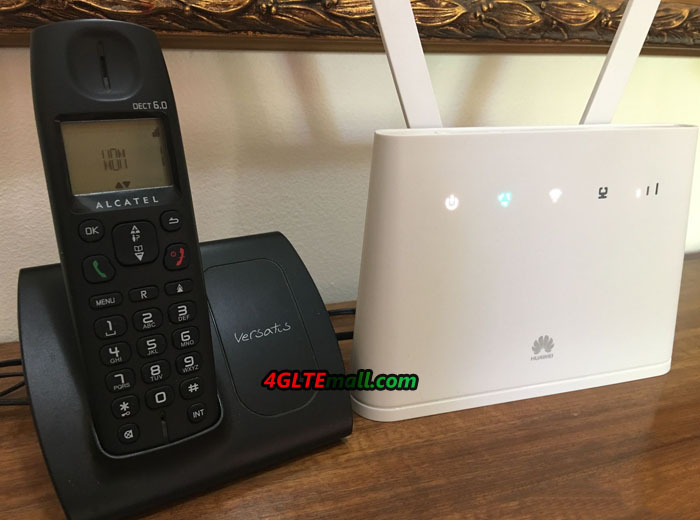 You pick up the handset and the Huawei B310 router itself will tone your fixed network phone, being ready to call any phone number, as long as your mobile operator allows it. It’s as if you were making a call from a cell phone, but here you do it from a landline. You can also receive calls in it, and if the landline has a viewfinder, you can see the number of the person who is calling the number assigned to you by your mobile operator. This function proves to be quite useful for those who want to have internet and telephone in a single device. With the Huawei B310, you will have Wi-Fi internet and fixed network telephone to call and receive calls. 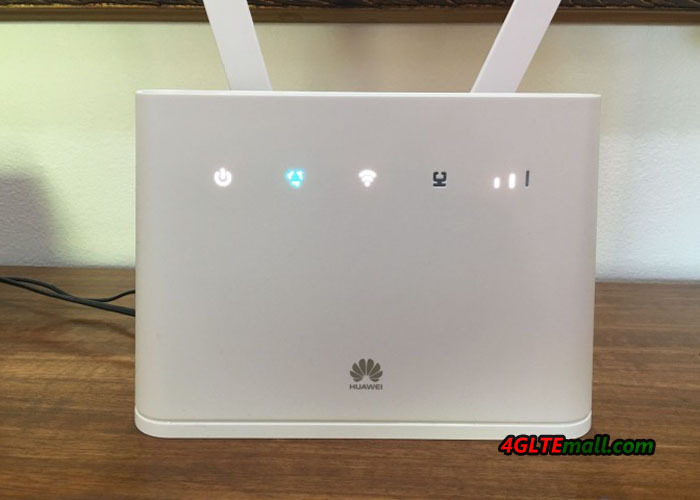 There are many 4G Routers in the market and we had the opportunity to try several models, but I personally like the Huawei B310 router much more than the others, since I found it quite useful in terms of functions. The first thing I liked was its Wi-Fi coverage, which reaches up to 200 meters, which in my case was more than enough to keep me good signal throughout my house without WiFi extender. The external antennas that this router brings, served me enough to improve the reception of the signal from the operator, as this LTE CPE B310 makes the signal is received much more intensely than what you currently receive on a smartphone, which ensures you a very good service. I personally used Vodafone 4G network and shared it via Wi-Fi in my house, reaching speeds in excess of 50Mbps, which I found remarkable. And since I do not have a fixed telephone at my house, I took advantage of connecting one to this router. The latter is very useful for people who do not have a fixed Internet and telephone service, in addition to saving a lot of money in the monthly fixed charge, having the freedom to choose the plan yourself which suits you. Considering the full practical functions for users, we would certainly recommend it as an excellent alternative. 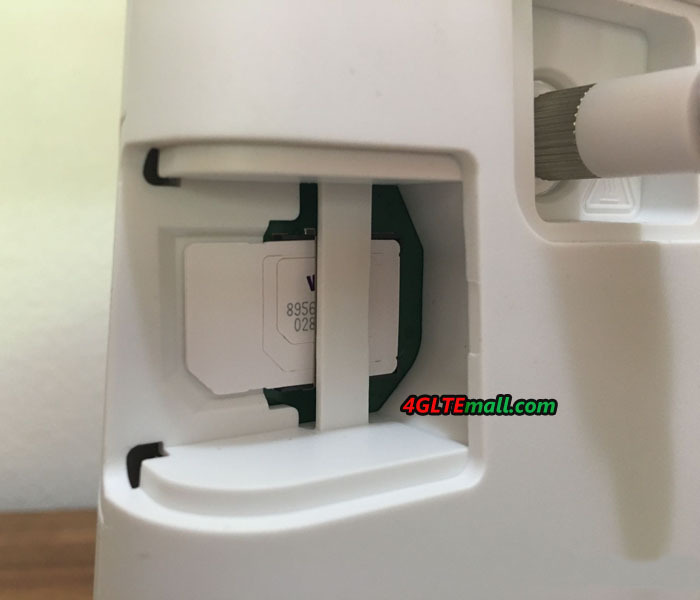 The Huawei B310 4G Router is available locked with network providers, but you can also get the unlocked units from www.4gltemall.com . With unlocked one, you can change your network provider if you are unsatisfied with the networks or services. And you can even take the unlocked Huawei B310 Router to other countries or areas and work with the compatible network providers. And actually, the Huawei B310s-22 has many brother models such as B310s-927, B310As-852, B310s-518 etc. They are for various LTE network providers and compatible different network frequency bands. So before you buy the router, choose the right one for your location and your network provider.